*Products in this post were received as PR from Avon. All opinions, are usual, are my own. 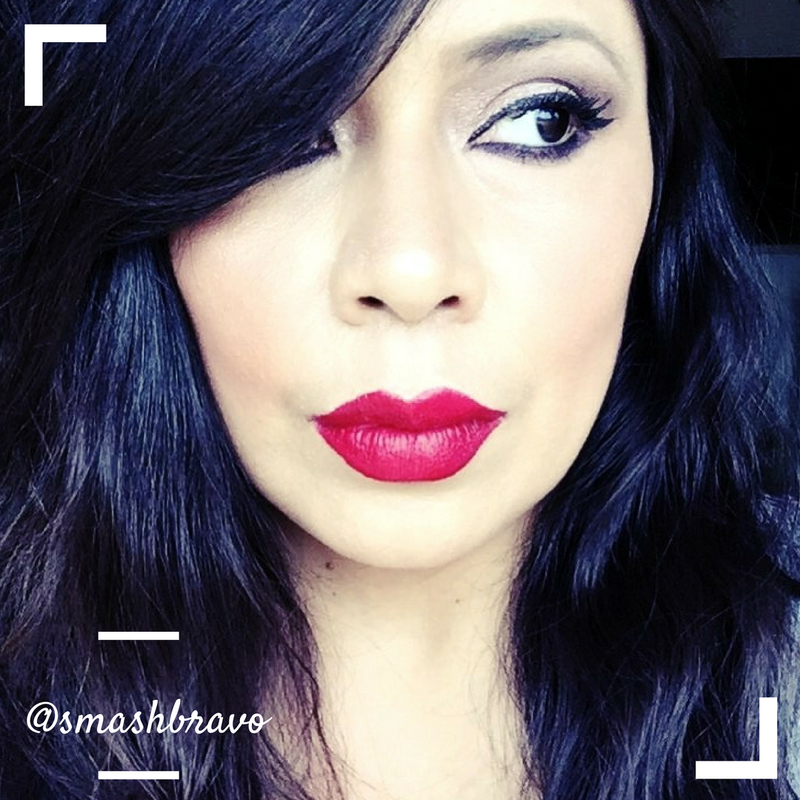 If you follow me on social media, then you might have seen me sharing a few of the Avon A Boxes. 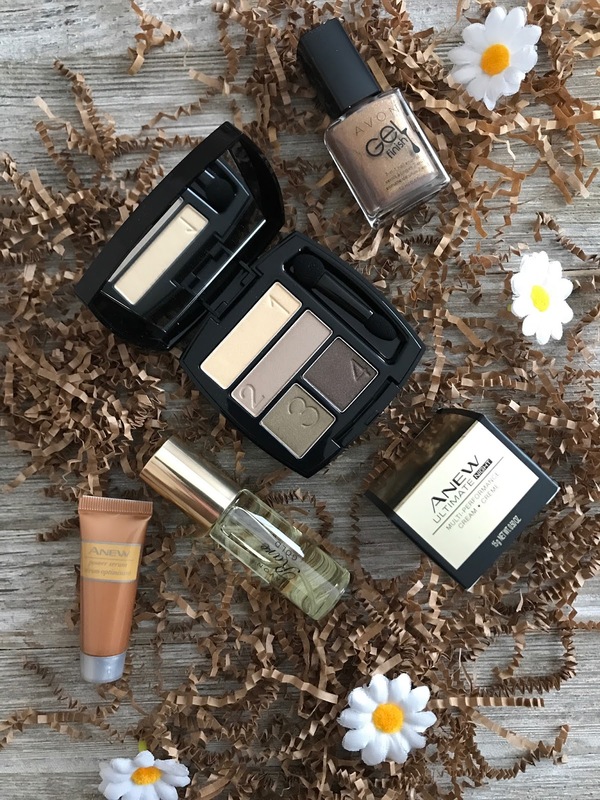 The Avon A Box is a carefully curated box of goodies available to purchase for $10 with a $40 order from your local Avon rep, or online. Each box is available for purchase for two weeks and each box offers a different variety of products. I personally have always been a fan of purchase with purchase promotions, they're a nice way to get to try a variety of different products for a lot less than the actual cost. I think that the price tag of the Avon A Boxes is reasonable. I've shared a total of 5 boxes and each box has had at least two full sized items, if not more. Now that I've taken a look at different boxes I definitely feel confident saying they are a good buy. You don't have to buy all of them, but keep an eye out every 2 weeks and pick and choose the ones that have the products you are most intrested in. The Beauty of Gold A Box is available now. I love the selection of products in this box, especially the beautiful quad which has shades that are so my style. Just gorgeous right? This palette is called Gilded Metallics and the shades are so perfect for this season. I especially love shades 2,3 and 4. Avon has definitely come a long way when it comes to the quality of their shadows. I hope this look at the Avon The Beauty of Gold A Box gives helps you decide if you're interested in picking it up. 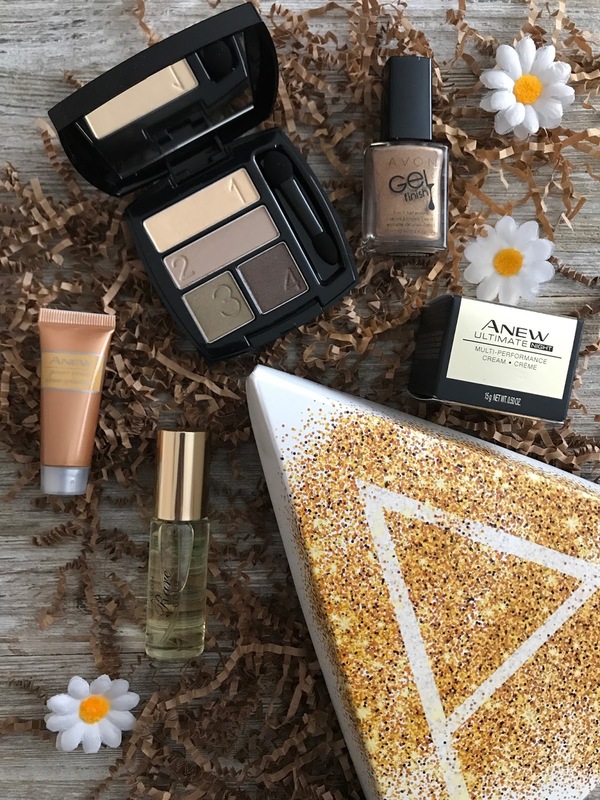 Get your Avon A Box - The Beauty of Gold for $10 with a $40 purchase here. rare gold is one of my ALL time fave perfumes :) I do prefer rare pearls a bit more tho . Really? I need to smell it again. I used to have a favorite Avon perfume timer but for the life of me I cannot remember what it's called. I remember I had 3 backups at 1 point.